Generally, I'm one to fill my walls with artwork. 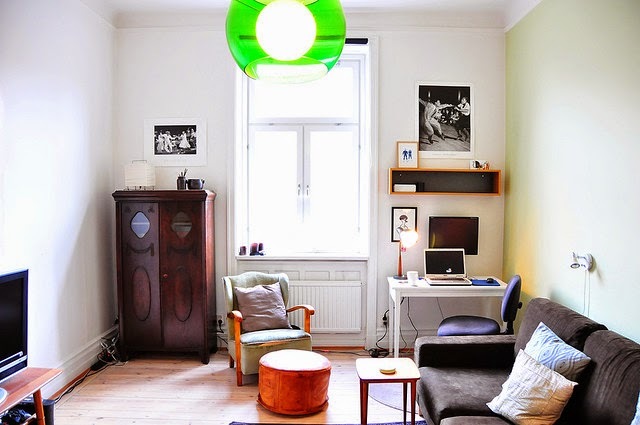 But this expanse of pale green wall is calming and modern while some prints and photographs hang just around the corner above the desk. There's the artwork! 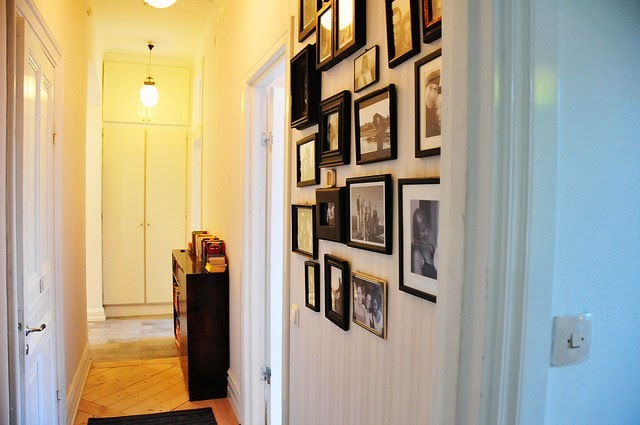 I love this idea of hanging a gallery in the hallway, adding visual interest to an area that is often left neglected. Though the frames may be different thicknesses and sizes, the black ties them all together into a cohesive, classic look. And I love that narrow black console at the end of the hall as a landing area. 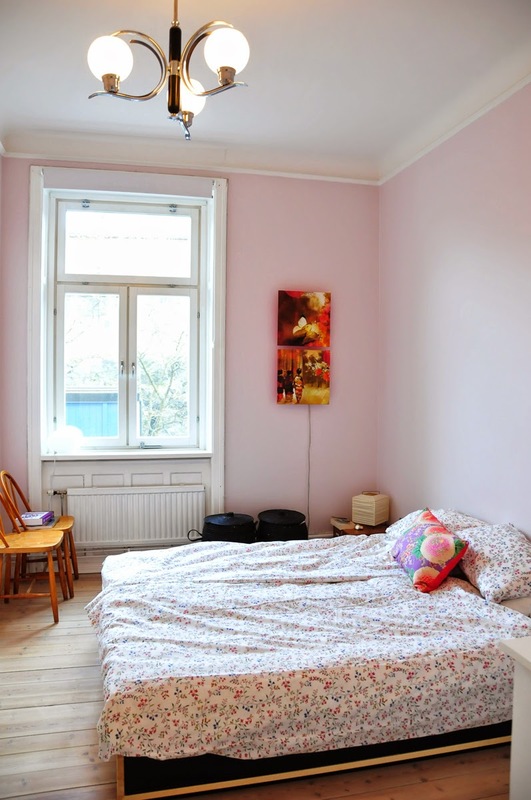 This is a perfect example of pulling off pale pink walls without it being too girly or frilly. (You can still have florals, too, as shown on the bed!) The trick: letting the pastel pink take the stage by keeping the walls empty except for an unexpected punch of contemporary, colorful art. It's chic, modern, and feminine in an understated way. 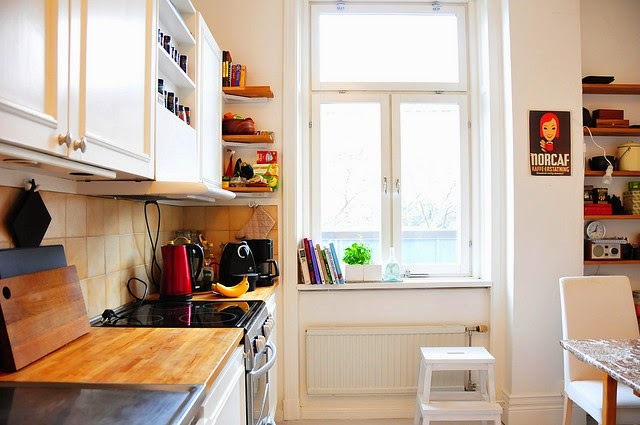 I just love this long, narrow kitchen and the windows over the doors. It really plays up the high ceilings and makes the space feel more spacious. 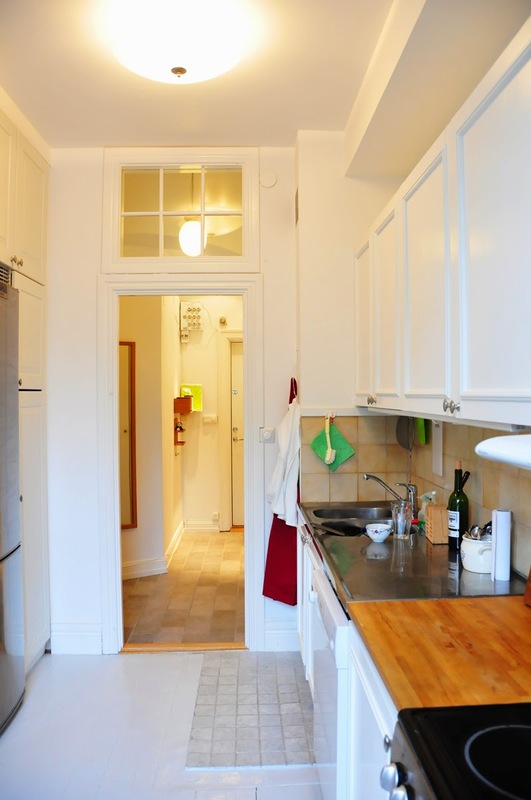 Plus, white paired with a warm-toned butcher block always delights me. Another (even better) view of the lovely kitchen. More big windows – and I love the cookbooks and plant in the window sill. I like the artwork on the wall and floating shelves, too. Such a bright, cheery space without feeling crowded or cluttered. 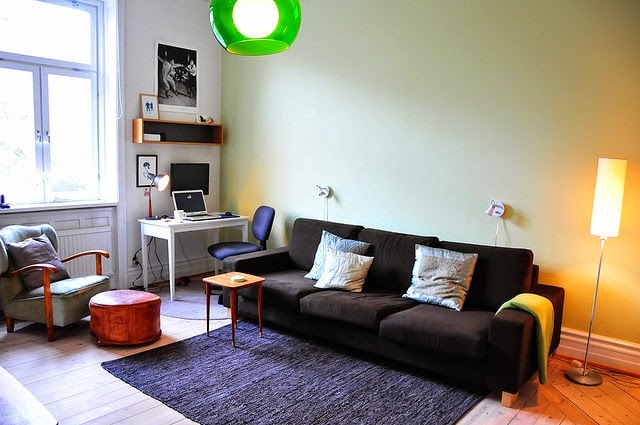 All photos belong to Jess Pac – view more photos of this Stockholm apartment in her photostream.